The BS in Kinesiology –Physical Education Teacher Education (PETE) program certifies and prepares students to be professionally competent, culturally sensitive and reflective physical education teachers in P-12 schools. The Master of Science in Kinesiology with an emphasis in Sport and Human Performance is designed to prepare future professionals for careers such as personal training, corporate wellness, and college coaching. The Master of Science in Sport Management prepares students for a variety of executive positions within athletic and sport organizations at the community, educational, and/or professional levels. The Bachelor of Science in Exercise Science is offered with either Applied or Clinical concentrations. 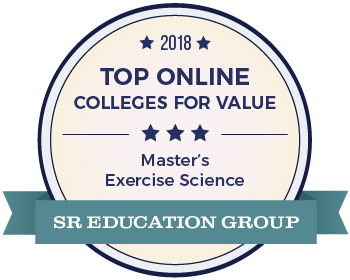 These programs prepare students for allied health fields and cardiac rehab settings as well as to design, develop, implement, and maintain fitness programs. The B.S. in Kinesiology helps students understand the relationships among movement, exercise, and skill. This occurs through the study of movement and exercise processes within a framework that emphasizes the clinical and practical implications of theory and research. All Athletic Training courses are taught by faculty who have qualified degrees, experience in the profession, and are certified athletic trainers. The faculty have experience in hospitals, schools, universities, and in other athletic training venues. Kinesiology is an academic discipline which involves the study of movement-related fields and its impact on health, society, and quality of life. It includes, but is not limited to areas of study such as exercise science, sport management, athletic training, socio-cultural analyses of sports, sport and exercise psychology, physical education teacher education, and pre-professional training for physical therapy, occupational therapy, medicine and other related health fields. 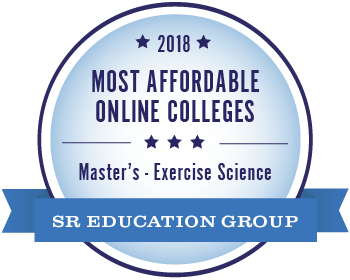 Undergraduate Kinesiology tracks in Physical Education Teacher Education (PETE), Athletic Training, Applied Exercise Science, Clinical Exercise Science or Kinesiology prepare students for future careers. The Department of Kinesiology offers graduate programs in Sport Management and Kinesiology Sport and Human Performance. A graduate certificate in Advanced Testing and Prescription is also available.